This handsome volume is full of exclusive photos and musical examples of famous Strat® sounds and styles – even audio excerpts from author Tom Wheeler’s interviews with the one and only Leo Fender. 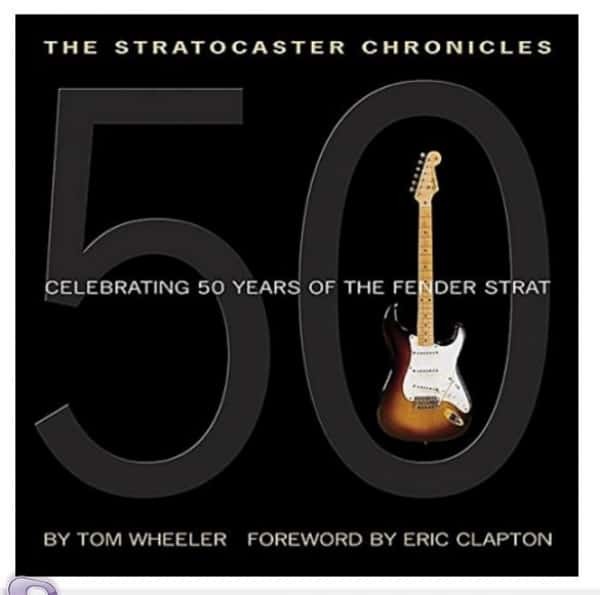 The book also explores the music to which the Stratocaster® is so deeply integral; you’ll hear what Strat® players have to say about their instruments, about their music and about each other. The Stratocaster® Chronicles tells the story of the people who conceived of the instrument, the designers and builders who refined it and the players who have taken it from there to legendary musical heights. The world’s most famous guitar had a golden anniversary in 2004, and this official book/CD package celebrates the milestone. From Buddy Holly to Jimi Hendrix to today’s hottest players, the Fender® Stratocaster® guitar defines rock ’n’ roll for generations of fans and players.